The 28-foot catamaran hit a range marker early Saturday morning. Former national and world champion offshore boat racer Michael Anderson, 53, died from injuries sustained in a boating accident early Saturday morning in the Tampa Bay shipping channel near the Sunshine Skyway Bridge. Anderson, of St. Petersburg, owned Performance Outboards and Machine in Largo, Fla. 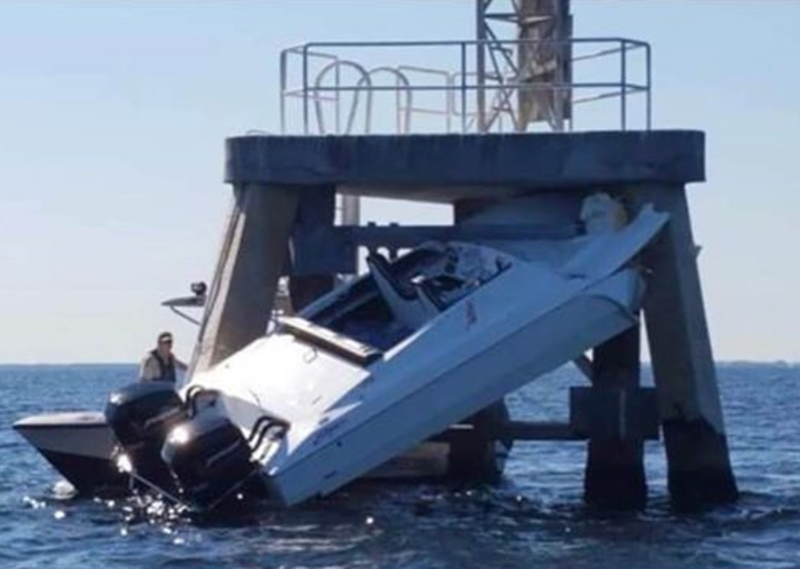 He and passenger Cheryl Lorio, 50, were on board the 28-foot catamaran when it hit a range marker piling at approximately 4 a.m., according a report on the to the baynews9.com website. Both people were taken to Bayfront Hospital in St. Petersburg, Fla., for treatment where Anderson died from his injuries, according to Florida Fish and Wildlife. Lorio was listed in serious condition. St. Petersburg Fire Rescue, the U.S. Coast Guard, the Hillsborough County Sheriff’s Office and the Pinellas County Sheriff’s Office are all reported to be assisting in the investigation.